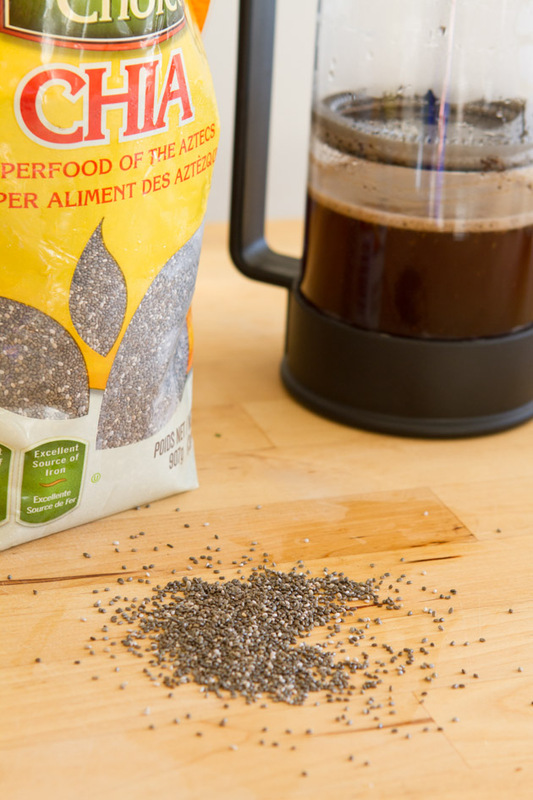 Pump up your daily coffee or tea ritual with a boost of keto-friendly chia. 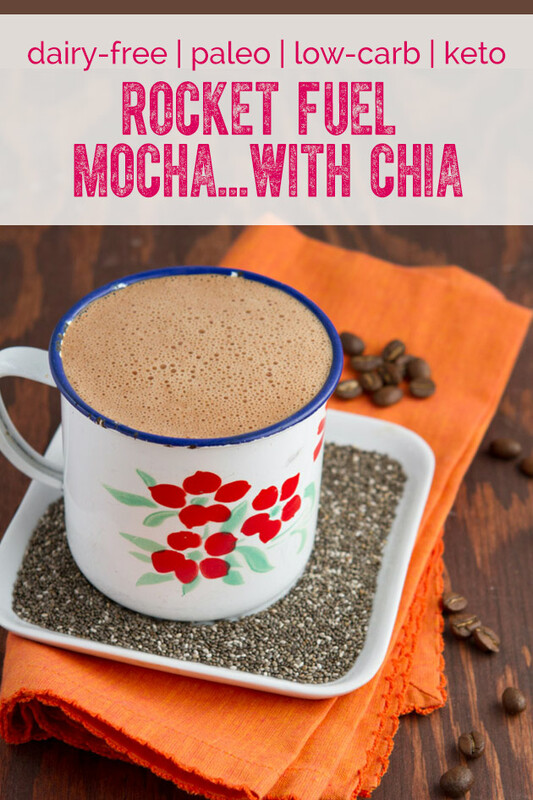 This Keto Rocket Fuel Cafe Mocha is bursting with healthy, keto-approved fats for some serious mental clarity, the whole day through. 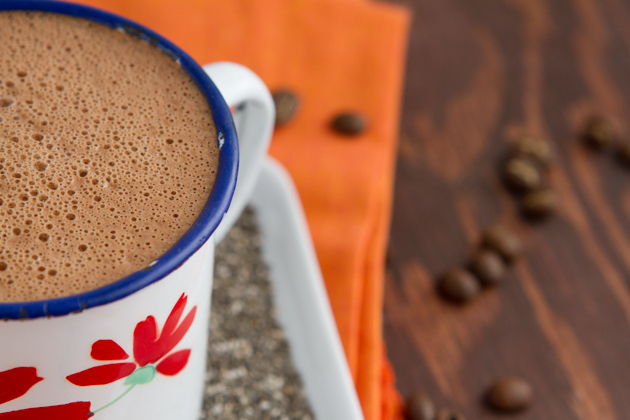 Each ingredient in this recipe plays a powerful role in the awesomeness of this blended keto coffee. Not a coffee lover? That’s okay! You can use tea instead – red tea, white tea, black tea, your pick! I enjoy Keto Rocket Fuel Blended Coffees (or tea) daily. Usually in the morning, before my first meal. Think of them like smoothies… but without the sugar. They’re highly satiating, packed with nutrients, and deliciously keto. 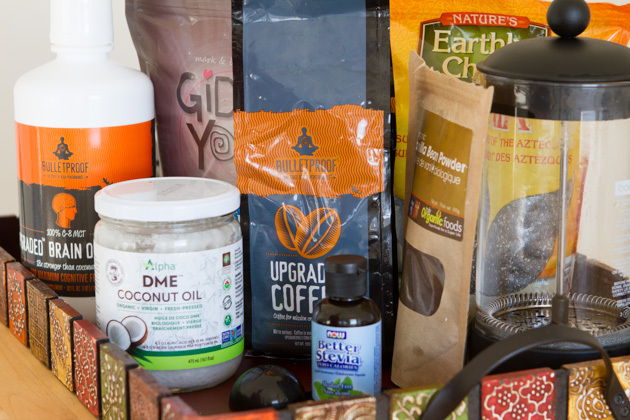 There are 20+ different Keto Rocket Fuel Blended Coffee (and tea!) recipes in my newest digital offering, The Keto Beginning: Complete Guide + 30-day Meal Plan. 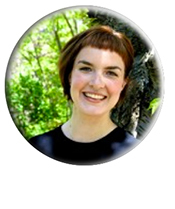 Claire is a nutrition educatorand is an Healthful Pursuit reader and swears by my Keto Rocket Fuel Blended Coffee recipes. Interested in using fat to fuel you for optimal health? Grab your copy of my newest digital program, The Keto Beginning: Complete Guide + 30-day Meal Plan. 17 chapters, 147 pages + over 70 high-fat, low-carb, keto, moderate-protein, dairy-, gluten-, sugar-, grain-, legume-free recipes – the resource that empowers your body + mind to achieve the keto state of health you’ve been searching for. 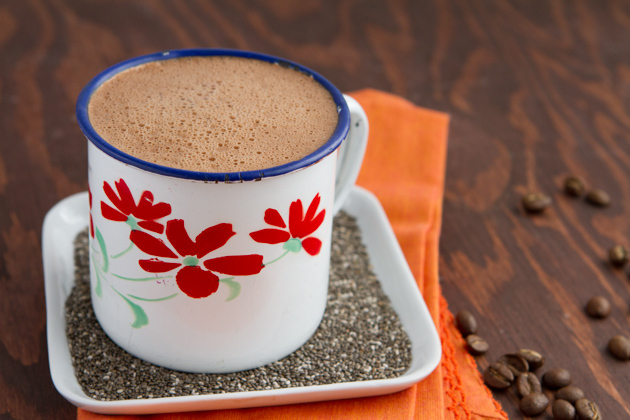 Bulletproof-style coffee keto with a twist, chia seeds! 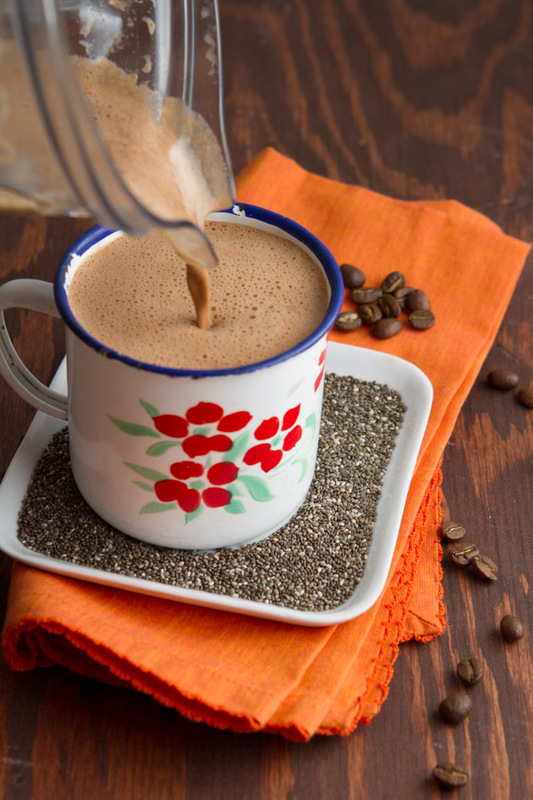 Add chia seeds to your blended coffee to pump up your daily omegas, balance blood sugar and boost fiber intake. I almost prefer when the stevia is added after the coffee is blended. 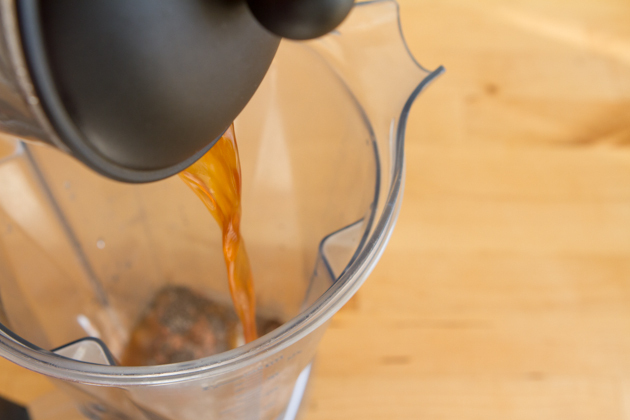 To do this, omit from the blending process and add to your cup, before pouring in the coffee. Give everything a good stir and enjoy the keto goodness. All of the keto-approved ingredients I’ve used in today’s recipe have a specific purpose and are very easy to find! In fact, most of them can be found at Costco or Superstore. Nothing fancy. 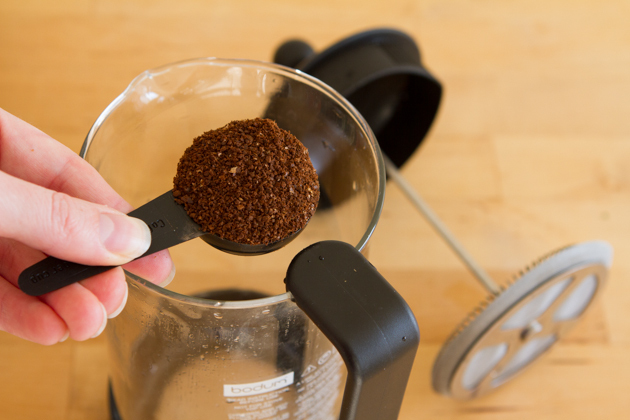 I grind my coffee fresh, every day. I usually opt for decaf Bulletproof coffee in my Keto Rocket Fuel Blended Coffees. It’s the only decaf I can drink without feeling lethargic afterward. It’s clean and still gives me loads of energy with all of the extra awesome ingredients. 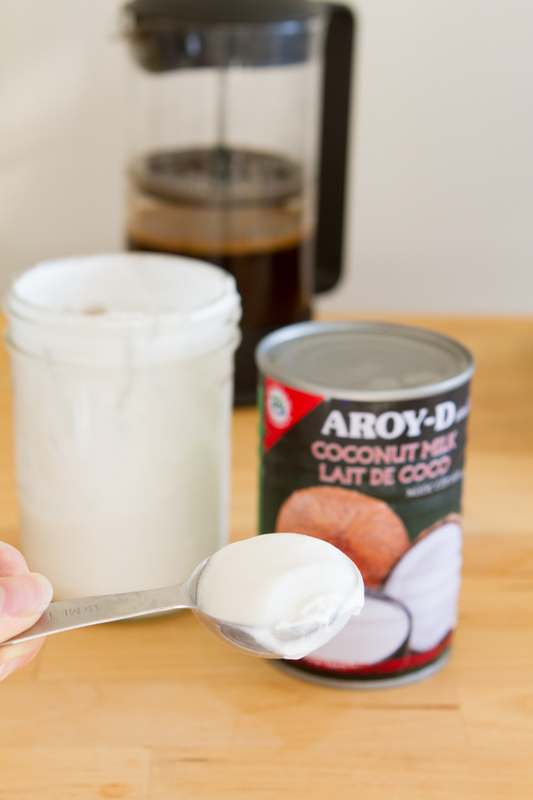 Aroy-D makes a fabulous preservative-free and keto-friendly coconut milk that’s thick, creamy and just 2 ingredients: coconut and water. If you can handle dairy, using grass-fed, organic cream could be an option for you. Adding the coconut milk to this recipe makes it really foamy. I purchase my keto coconut milk at Superstore. 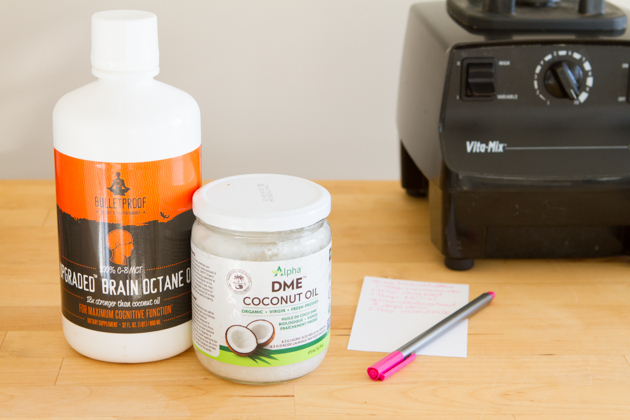 You can use keto MCT oil or coconut oil in this recipe, whatever tickles your fancy. If you’re sensitive to coconut, you could try red palm oil or avocado oil, too. 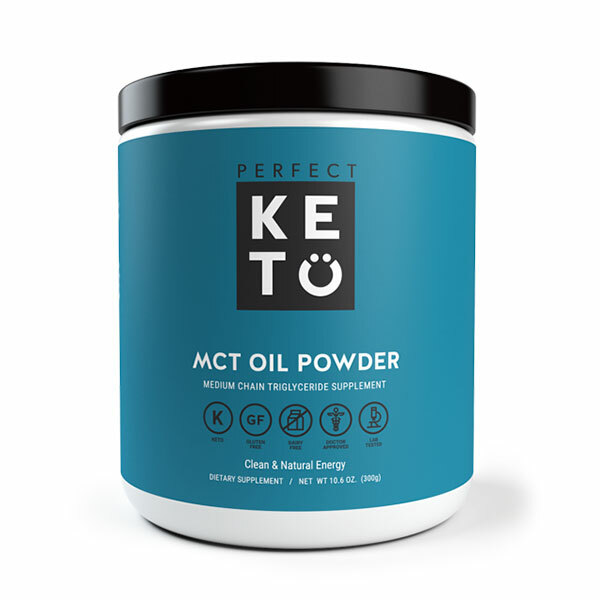 Curious about MCT oil? Read more about medium-chain-triglycerides and how they can boost your health HERE. NOW Foods alcohol-free Better Stevia is the best around. Really, it’s the only stevia I ever use and would ever recommend. It has a pure flavor, no alochol or metal aftertaste. They recently switched from a glass dropper bottle to a capped plastic bottle. While I like glass better, the plastic cap is way less messy. Chia seeds! In coffee, crazy, right? 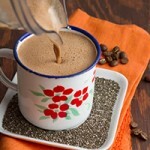 They are pulverized and add to the frothy goodness of this dairy-free blended coffee recipe. Keto-approved fiber, omegas, oh my! 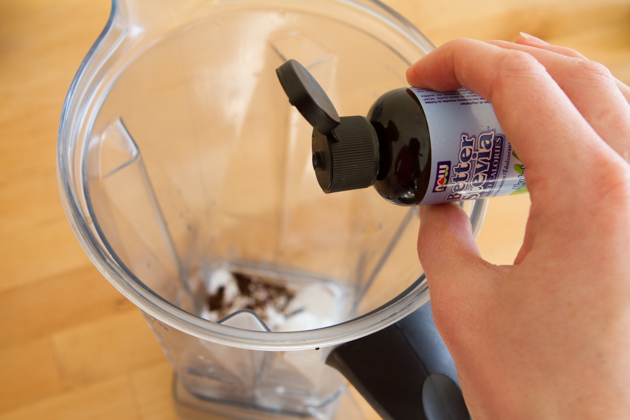 Add it all to your high-powered blender, and brace yourself! Do you drink a smoothie a day? How do you feel about potentially swapping out your fruit-filled smoothie for a Keto Rocket Fuel Blended Coffee or Tea?